On 13.03. I was kindly invited by WPDUS to present my current favourite project. 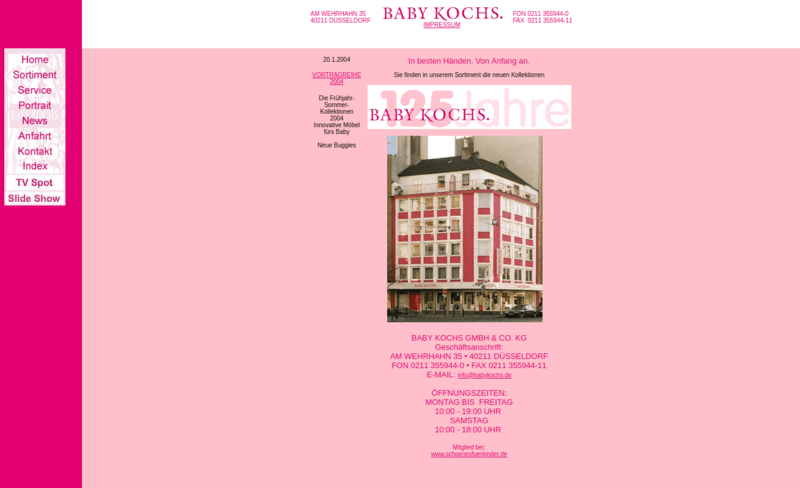 I picked Baby Kochs and talked about how I have accompanied the project from 2004 until today, and from frameset to successful eCommerce with WordPress/WooCommerce. 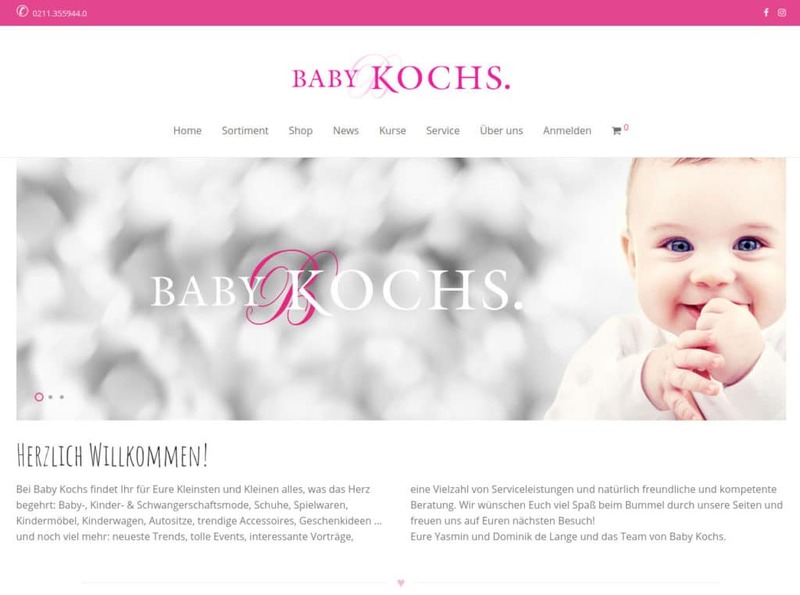 In 14 years you learn a lot about successful, and less successful, strategies related to ecommerce websites. I would like to summarise these findings and identify trends that have emerged over this period and which I believe will continue. For teams that nowadays implement and supervise IT projects, it is advantageous if consulting and/or project management is carried out by generalists with cross-technology experience. They know the advantages of, for example, shopware over WooCommerce and can help the customer to identify the right components for his successful project. For the actual implementation, however, preferably specialized persons are employed, depending on the requirements. Just a few years ago, one person could still sufficiently master almost all Internet technologies. This is now hardly the case, at the latest with the rise of mobile devices and native and progressive web apps. Between 2005 and 2010 we programmed content management systems from scratch, and even implemented small eCommerce platforms from the database concept to the payment system connection. That would be far too expensive today. The trend is to use existing systems such as Shopify, Shopware or WooCommerce. These are installed (or used directly via SaaS), visually adapted and configured, and the eCommerce solution is ready. Afterwards, the employees on the customer’s side are briefly trained during commissioning and online trading can begin. This changed with SaaS (e.g. Squarespace, Jimdo, Shopify and similar kits) and the rise of CMSs (e.g. WordPress, TYPO3, etc. ), which are constantly being developed further, and offer updates comfortably. Now one invests continuously little effort ~ one presses frequently update buttons ~ and the web page goes with the time. Of course, there are still customers who do not manage to update your website regularly or to conclude maintenance contracts. These should be made aware of the immense value they leave unused in the form of many developer hours, because they do not manage to establish an update strategy. When I learned data processing at Schenker Eurocargo AG in the early nineties, and the Internet was not yet so important, IT departments were tiny. At that time, a single person was able to understand and support all IT processes of a medium-sized company. Those days are over. Business processes that at that time were mapped by”mainframes” such as IBM AS 400 or Siemens Nixdorf Quattro in air-conditioned basements were increasingly decentralized in the direction of highly scalable services. Or, to use a buzzword: the cloud. Similarly, labour recruitment was decentralised. In the past, everything was handled via the “IT department” in-house. Today, agencies and/or freelancers are more likely to be hired, depending on the project situation. All this requires communication. Much and good communication. Introverted developers are usually not particularly keen to sit in workshops with people all the time. Also the communication with the customer, whom one would like to relieve as much as possible and only if really necessary with decision making load, needs intuitive feeling. I have the impression that my soft skills have become just as challenging as my ability to find technical solutions. And it really cannot be taken for granted that people with left-dominant brains and those with right-dominant brains come together to form productive teams. As in every relationship, teamwork is about finding compromises on a small scale so that the big whole, the relationship itself, works. If designers and customers absolutely want the full-width image slider in the header of the start page, I will explain once and for all why this is not a good idea. Namely, because short loading times are very important in the smartphone era, and several portrait-format images are very large. There are many arguments against carousels, but if customers and designers would be permanently unhappy with the project without the pretty pictures, it’s time for the developer or technical consultant to move on to the next point and accept said image slider. A good project climate is more important to me than “winning” on a single point. Where many components work together, many points of friction arise that raise many questions. Is it possible to load an external service if the user’s IP address is transmitted there at the same time? And where exactly do you send them to? Where is the server located? Through which unregulated rogue state does this information flow? And what is the Blockchain anyway? The Internet is not very comparable to the real world, which consists of individual continents, states, countries, cities and households. A legislature is now trying to formulate rules to govern a technical infrastructure that it hardly understands. How many politicians or lawyers can explain the difference between session cookies and third party cookies? Exactly! It could happen that you have to pay warnings from a technically experienced point of view despite careful procedures, since you are the only person in the room at the court hearing who understands the technical contexts. That’s scary. And the GDPR coming on 25.05.2018 extends the rules, increases complexity and thus creates an interpretation chaos that the one or other lawyer will know how to use for himself. After my talk the evening continued with Udo, Max and the GDPR (German), which will hit us in May. I think that data protection officer is currently a profession with quite a future.